To Kindle Or Not To Kindle That Is The Question? I recently posted on a well known social networking site the above question and got a lot of amusing responses. The best ones were around whether technology is taking something away from us, are we losing some ineffable pleasures as we become more and more reliant and addicted to gadgets and gizmos? What do you think? Kindles* or Books? Or can both exist harmoniously alongside one another? *Other brands of e-readers are available. kindle is nicer than I expected. 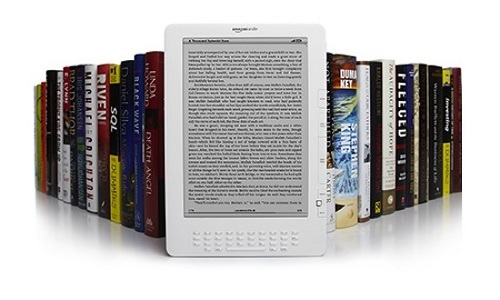 I bought one for my wife, a book lover, and now she has about 400 titles for her kindle.